Tucked away on Third Street, Fish School is one of the latest eateries à la mode to hit Sai Ying Pun. 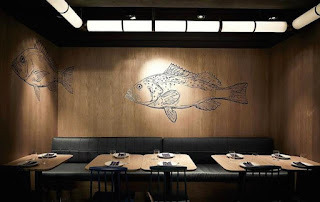 French-trained chef, David Lai, spearheads this eclectic fish specialty joint, with an emphasis on local catch and culture and a focus on fresh, seasonal and organic ingredients. 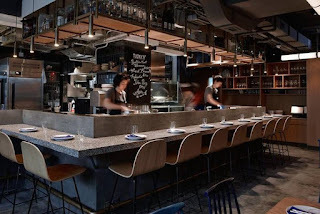 As the brainchild of Yenn Wong (the restauranteur behind gems like 22 Ships, Chachawan and Aberdeen Street Social), my expectations were set suitable high for this dining experience. Finding Fish School was a challenge, but as soon as I stumbled upon the right spot, I was instantly enthralled by the urban feel of the location. It struck me almost as a Mediterranean tavern - with exposed brick walls and fairy lights adorning the outside of the restaurant. Inside, the cozy ambiance didn’t disappoint with fun touches like fish tanks and open kitchen tables to entertain diners. Luckily, we had prime seats, and were able to observe our food being skillfully prepared right in front of us. The lively and animated vibe of this place makes it ideal for a group setting and would be superb for Friday night frolics with friends. The service at Fish School was noteworthy; the staff were very casual, jovial and chatty - without being overly intrusive on the table. Our server was most knowledgeable about the food and beverage menu and explained each one of our seven courses effortlessly, as they were received. I particularly appreciated the attention to detail exhibited; with small touches like a comprehensive overview of dietary requirements and a change of cutlery and plates, where appropriate. 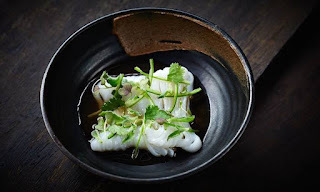 Fish School’s vision is to pay homage to the abundance of sea food on offer in Hongky waters - wherever possible - and to add a touch of creative flair with exquisite preparation and presentation. This aim is achieved fluently with a gorgeous variety of tapas-style portions that are both appetizing and aesthetically pleasing (hello, they had me at flowers on the food!). Each serving was a feast for the belly and the eyes - with plenty of Instagram opportunities throughout the meal! Some of my personal winners were the crispy, oyster croquettes with tangy and spicy yuzo mayo, the complimentarily cool Hamachi Crudo with cucumber and plum and the marinated raw crab and sea urchin rice. 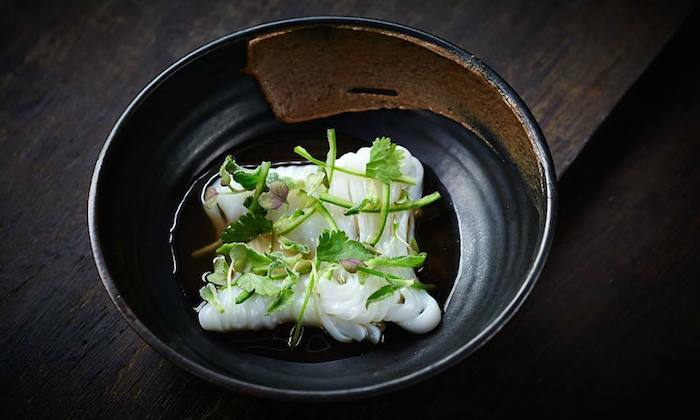 The fluffy, wild sea mullet was unforgettable; swimming in the most intriguing combination of ginger milk and preserved mustard root. 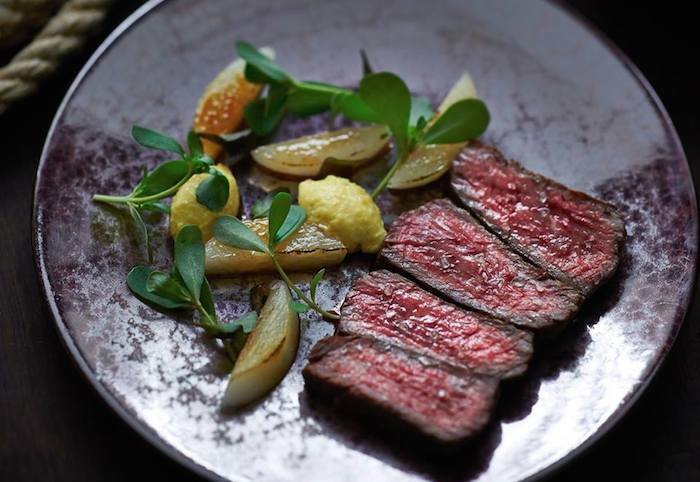 Meat lovers are not neglected at Fish School either, and can chow down on the scintillating wagyu beef, or wagyu tartare, with fermented mushroom and mustard brulee. 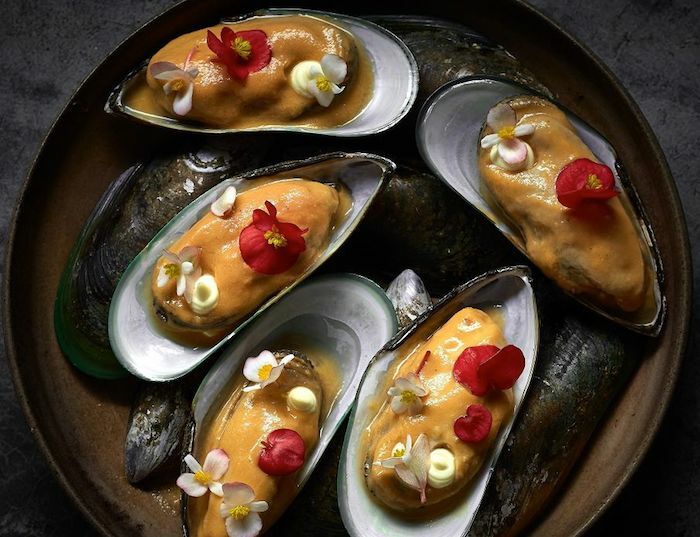 My only disappointment was the clam custard - which I didn’t quite get - I found the flavours bland and flat and while I welcome the inventiveness, the whole dish missed the mark for me. 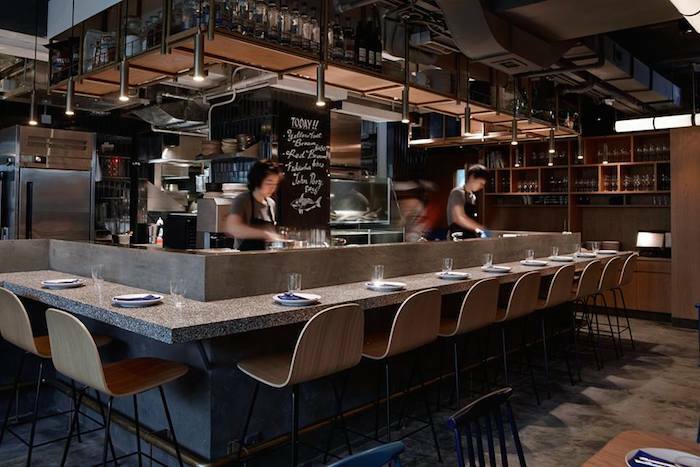 The drinks menu was also impressive, with a massive selection of everything from sake to beers and wines, all carefully crafted and selected to accompany the light, contemporary food. I really enjoyed flicking through the cocktail list which was as innovative as the food - forget your run-of-the-mill Cosmo here! 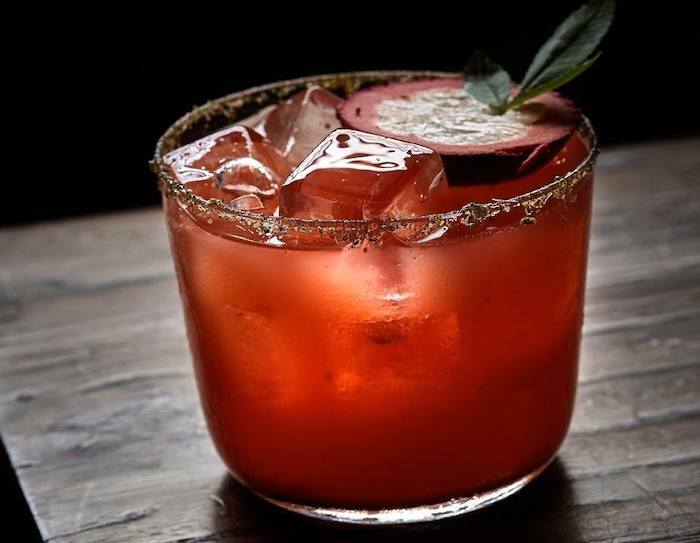 At Fish School it’s all about something different, like the Wet Market Martini or the Third Street Spritz to whet your appetite or finish off your evening with a funky twist. All-in-all, I had a wonderful experience and felt a million miles away enveloped in the bustling surroundings. If you’re in search of something other than the likely Central picks, get out your Google maps to sample the offbeat and original at Fish School.